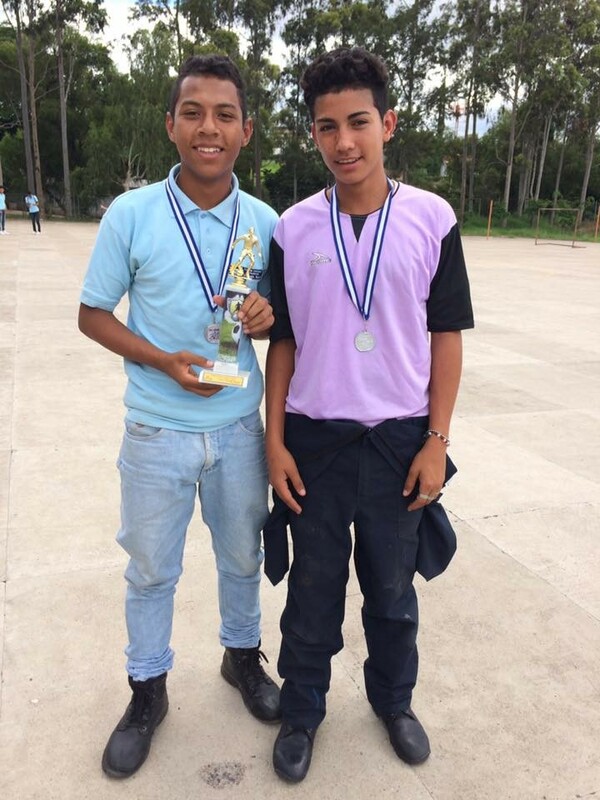 (MissionNewswire) José Wilfredo Herrera, a 17-year-old from Supaya village in Tegucigalpa, Honduras, has successfully completed motorcycle mechanics courses at the Don Bosco Vocational Training Center thanks to a “Preventing Drug Consumption by Youngsters in Honduras” project. The project aims to provide life skills training to 500 youth between the ages of 15 and 30 over a two-year period. Salesian Missions, the U.S. development arm of the Salesians of Don Bosco, secured the grant from the Department of State Bureau of International Narcotics and Law Enforcement to fund this project. The project was needed in the region because of its high rate of violence and murder. The life skills training provided by the project touches on topics including self-knowledge, self-esteem, assertive communication, interpersonal relationships, conflict resolution, resilience, youth leadership and ethical and moral values. Participating youth are also able to access sporting and other recreational activities including football, volleyball, dance and art workshops, guitar and other music lessons. Herrera, who comes from a low-income family, became a participant in the project while he was enrolled in pre-vocational courses at the Don Bosco Vocational Training Center. Herrera’s father works as a security guard and his mother receives a commission but doesn’t earn a base salary at her job. In the community in which they live, the sale and distribution of drugs is very common. At the beginning of the pre-vocational process, Herrera was characterized as a young person who applied himself very little, but in spite of this, his grades were good. At the end of the pre-vocational process, he began his technical training in motorcycle mechanics. There was a decline in his grades, and not knowing the reason for it, Salesian missionaries contacted Herrera’s mother for more information as to why his grades might be falling. His mother promised to support him in whatever way she could but her work required her to leave home early in the morning and return very late. Herrera asked Salesian missionaries for help in treating his marijuana addiction— a drug he had used since he was just 7 years old and was provided by his older brother. Herrera was referred to Project Victoria, a project partner of the Salesian missionaries that offers therapy to those addicted to drugs. He attended outpatient treatment once a week and was able to continue his technical training. Since the start of his treatment, Herrera has made every effort to stop using the drug. With the support of his mom, who went with him to all his outpatient care appointments and supported him throughout the entire process, Herrera was able to move forward and be discharged from the treatment project. Because of his drug use, memorizing and learning was much more difficult for him but despite these challenges, he was able to finish both his coursework and his internship successfully. He is currently awaiting graduation.